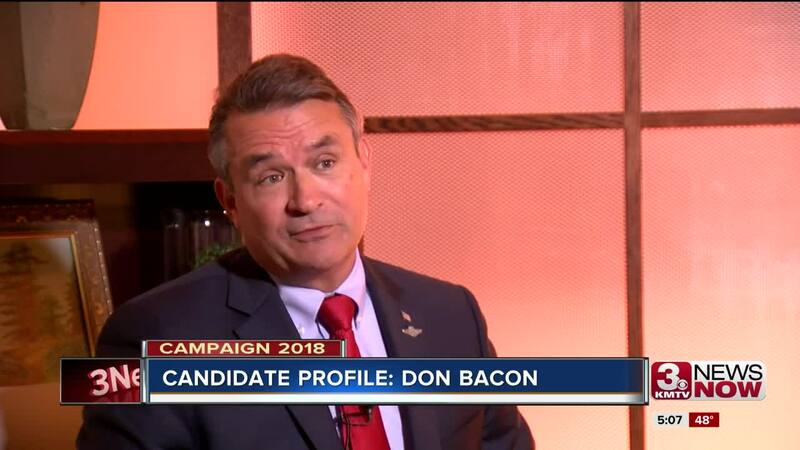 Congressman Don Bacon is optimistic. He believes he's on his way to winning a second term. But he insists, he's taking nothing for granted. "We went from President Obama to President Trump and the environment is different," he said. "You have more anger, vitriol. I really think that is an issue." Now Bacon says he has heard it from constituents, that Washington is broken. The incumbent Republican believes he has been part of the solution . "I think the first one is successes: The best economy in 50 years. The lowest unemployment in 49 years. When we came in we had an economic growth of 1.2 percent," Bacon said, "Now, its 4.2 percent. " "As Nebraska's zero two representative , I want to make sure I am setting the example," he said. "I will debate passionately, but I want to disagree, agreeably, and have a good conversation." The retired Air Force brigadier general has a list of what he wants to work on if voters re-elect him, including health care and immigration. 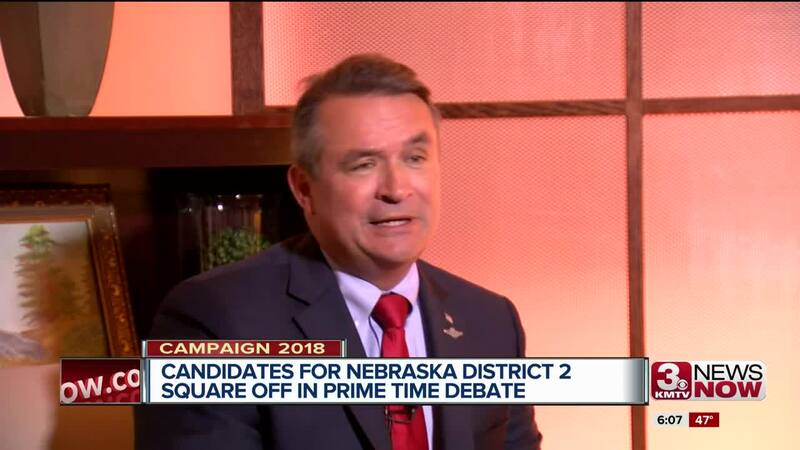 WATCH: Rep. Don Bacon will debate challenger Kara Eastman live at 6 p.m. Tuesday on KMTV 3 News Now on TV, online, in our mobile and smart TV apps, and on Facebook Live .